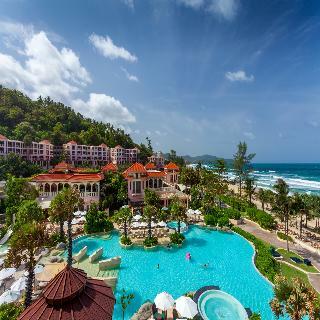 The Centara Grand Beach Resort Phuket is a magnificent resort which enjoys a sea front location in one of the most beautiful areas on the west coast of Phuket, on Karon beach. 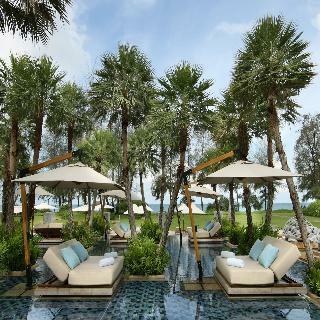 Backed by lush vegetation and tropical trees, this hotel provides and idyllic atmosphere for relaxed holidays. 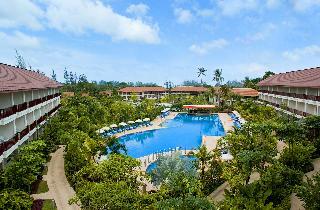 Phuket International Airport is approximately 44 km from the hotel. This classical Sino-Portuguese style resort boasts luxurious open spaces and features high-class accommodation fitted with up-to-date amenities providing amazing views to the sea. This hotel is located in the centre of Karon resort, on the west coast of Phuket Island, a 3-minute walk from a stunning sandy beach. There is a wide range of shopping and dining options in the area. 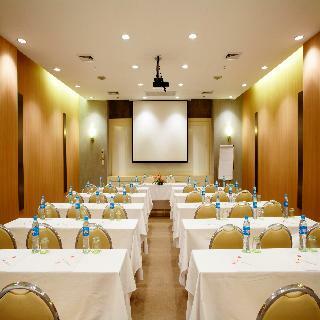 Facilities include a lobby with 24-hour check-out service, hotel safe, currency exchange, gift shop, beauty salon and a car park. 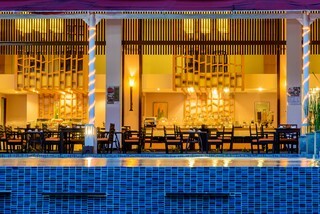 Guests can enjoy the resort's bars and restaurants. 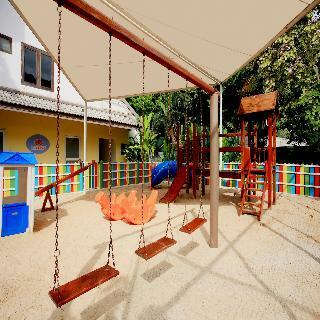 There are conference facilities, and younger guests can enjoy the kids' club and playground. Room and laundry services are on offer as well. Set just 300 metres from the beautiful, sandy beach in Patong, this modern hotel offers a marvellous holiday of sea and sun in Phuket. Guests can participate in a variety of water sports and activities nearby, including snorkelling and diving, jet skiing, parasailing, and boat excursions for deep-sea fishing. Alternatively, guests might stay at the hotel to lounge in the sun by the pool whilst sipping a drink from the bar.The chic and contemporary guest rooms are decorated with dark, soothing tones contrasting with the crisp, white linens and come with a balcony and Wi-Fi internet access. Guests can enjoy Thai-style tapas in the restaurant and bar and relax with a massage after a busy day spent exploring the area. 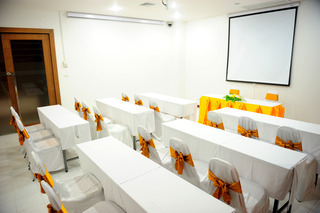 For added convenience, the hotel offers a currency exchange service, business corner and car rental service, altogether making it a great choice for leisure travel in Phuket.